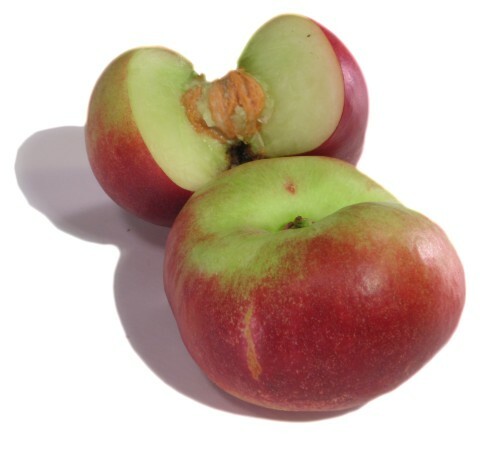 General Information: Also known as a "Flat Nectarine" or "Saturn Nectarine", this is a recent mutation of flat peach with whom it shares the qualities. A new flavor worthy to discover. A nectarine is a mutation of peach from fuzzy skinned to no fuzzy skinned, or glaucoused from pubescence. There are a number of factors that go along with the glaucous skin of the nectarine. Nectarines generally have more red color in the skin, smaller size, more sugars, more acids, and higher density.